Thank you for expressing an interest in LifeSource Community Church. Our desire is to be authentic followers of Jesus Christ. The practice of openness, honesty, acceptance, and accountability are very important to us at LifeSource. We believe God changes lives and reveals His purposes in the context of learning to live life together. We are committed to maintaining a ministry environment where people of any ethnicity, background, religious affiliation, appearance, or economic level are welcome and equally accepted. At LifeSource, we make it a priority to help all believers grow in spiritual maturity and become fully devoted followers of Jesus. Because the Christian life is one of constant growth and development, we are focused on providing biblical principles that can be applied to every day life. We want to help you move from a spectator in the stands to active involvement in the work of God’s kingdom. Whether you are looking for a community of your own, just beginning to ask questions about God, or living a life committed to Christ and looking to sink your roots even deeper, we believe you will find yourself at home here. You matter to us because you matter to God! Please let us know if we can assist you as you move forward in your life. We hope you find LifeSource Community Church to be a place where you feel you belong. The mission of LifeSource is to lead people in becoming fully devoted followers of Jesus. The strategy for accomplishing our mission is to create an environment where people are encouraged and equipped to pursue intimacy with God, community with other believers and influence with those outside the church. We see a church where…concern for others outweigh concern for self. We see a church where…sacrificial generosity was a normal expression. We see a church where…community with one another was a priority. We see a church where…relationships flourished outside the church. We see a church where…the gospel produced life transformation. We see a church where…spiritual freedom existed. We see a church where…Christ-followers were committed to spiritual growth. We see a church where…supernatural activity was common place. We see a church where…those in the culture were attracted to the gospel. We see a church where…people were added to the Kingdom on a daily basis. Why can’t this be our experience? We believe in the accuracy, authority and power of the Holy Scriptures as the inspired Word of God. We believe in a personal God who has revealed Himself as One; God exists in three persons, God the Father, God the Son and God the Holy Spirit. Each is distinct—yet all of One essence and deity. We believe Jesus Christ to be the virgin born Son of God, who lived in the flesh, died for the sins of the world, was buried, rose again and ascended to the Father according to the scriptures. We believe that the death of Jesus Christ was the final and complete sacrifice for the sins of all humanity. Salvation is obtained by grace through faith in Jesus Christ. All who repent of their sin and accept Jesus Christ as Savior are born again to eternal life as Children of God. We believe that life on earth is to be lived in the power of the Holy Spirit, who indwells all believers, enabling and empowering them to live distinctive lives in the life and power of Jesus Christ. We believe God has ordained the family as the foundational institution of human society. Marriage is the uniting of one man and one woman in covenant commitment for a lifetime. It is God’s unique gift to reveal the union between Christ and His church. We believe baptism is the immersion of a believer in water in the name of the Father, the Son, and the Holy Spirit. It is an act of obedience symbolizing the believer’s faith in a crucified, buried, and risen Savior. The Lord’s Supper is a symbolic act of obedience whereby all believers, through partaking of the bread and the fruit of the vine, memorialize the death of the Redeemer and anticipate His second coming. At LifeSource, we use the term "partnership" rather than the more traditional term of "membership" to describe those who wish to officially join with us. As a partner, you are agreeing to be more than a member...more than a attendee...more than a spectator. You are expressing your desire to share in the responsibilities of the church as a partner. This means you will protect the unity of the Body, participate in scheduled services, serve in some form of ministry capacity, support the ministry financially and build healthy relationships with one another through the small group ministry. The procedure for becoming a church partner occurs in a one-time class called "Partnership 101." This class is offered periodically and is designed to help you under what being a "church partner" looks like and how to the next step in your journey at LifeSource. Our mission is to lead people in becoming fully devoted followers of Jesus! Partnership 101 provides the opportunity for you to understand our vision and values up front. It provides the confidence you need to freely embrace your place at LifeSource. Growth should be an on-going process in the life of every Christ follower. Partnership 101 helps you learn what it looks like to honor God, loves others, and serve people. We will help you identify proven spiritual principles designed to promote your continued growth. Everyone has been given a gift to use within the Body of Christ. Partnership 101 helps you discover how God has gifted you with your unique personality and spiritual gift(s) and how He has designed you for a specific role within the Body. A significant aspect of our missions is getting our of our church building and serving the needs of people in our community. Partnership 101 will introduce you to all of the opportunities to serve at LifeSource. The ministry opportunities available impact all three aspects of our mission whether within the church or the community. John serves as staff pastor overseeing the area of daily operations, preaching and teaching, and leadership development. 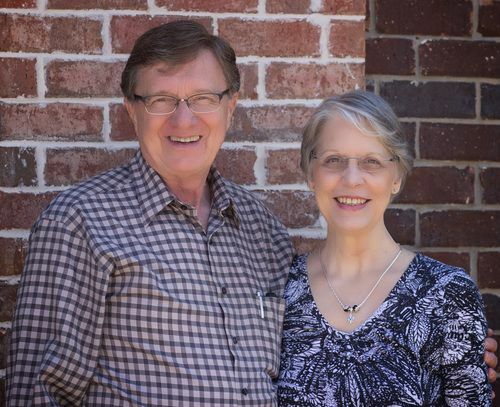 After 42 years of effective church leadership, John and Carla launched a para-church ministry in July of 2011, designed to help believers and churches experience spiritual renewal and life transformation. In late 2014, sensing God was calling them to once again extend their ministry passion back into the context of the local church; the concept of LifeSource Community Church was born. 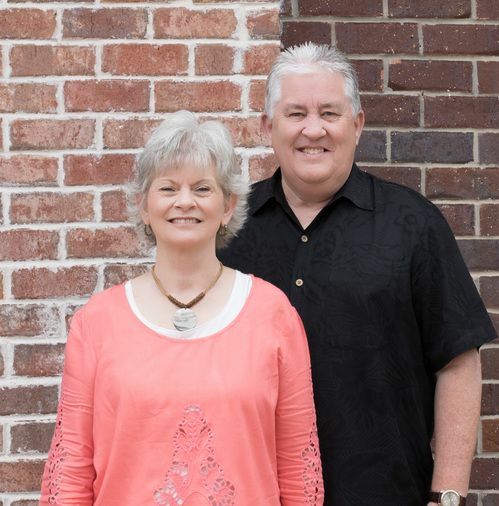 John and Carla officially launched LifeSource as a congregation in Lindale, Texas in January 2015. The Offutt's have three adult daughters and eight grandchildren. Dave serves as staff pastor overseeing the areas of pastoral care, counseling, partner assimilation, and small group development. David and Connie have served in church leadership for 51 years which encompassed seven states and ten years as missionaries in Brazil. Their ministry has included senior and associate pastoral positions, music ministry, counseling, and teaching. David presently serves as a Hospice Chaplain. The Hicks and Offutt families share a 40 year friendship and have served together in ministry several times. David and Connie felt God's leading to once again come alongside John and Carla to partner with them in launching LifeSource. The Hicks have three adult children, 11 grandchildren, and one great grandchild. Keith serves as staff pastor overseeing the areas of worship and discipleship. Keith Irwin has been in the ministry in many different aspects since he was a young man. He has served God in many capacities and positions over the last thirty years. The Irwins have been friends with the Offutt and Hicks' families since 1992. He has experience as a student pastor and worship leader, director of small groups, associate pastor, pastor, and worship pastor. 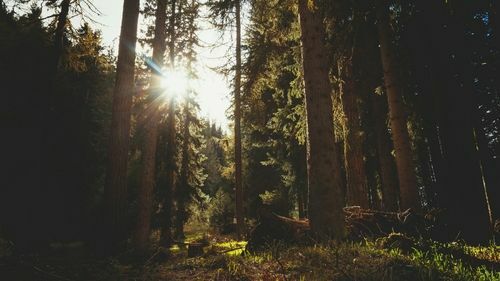 Throughout all of those experiences, God revealed that Keith's passion is leading other's into the presence of God through praise and worship and to disciple men to come to full maturity in their faith. Keith and his wife, Sheri, live in Lindale, Texas and have 8 children and 9 grandchildren! We invite you to plan a visit to LifeSource!